Then came her alleged pregnancy by 18-year-old boyfriend YBN Almighty Jay after the two had been dating for only a few weeks. Blac later claimed that what looked like a baby bump in paparazzi photos was just a tummy overfull of burrito. And she and YBN broke up when he allegedly got another woman pregnant. 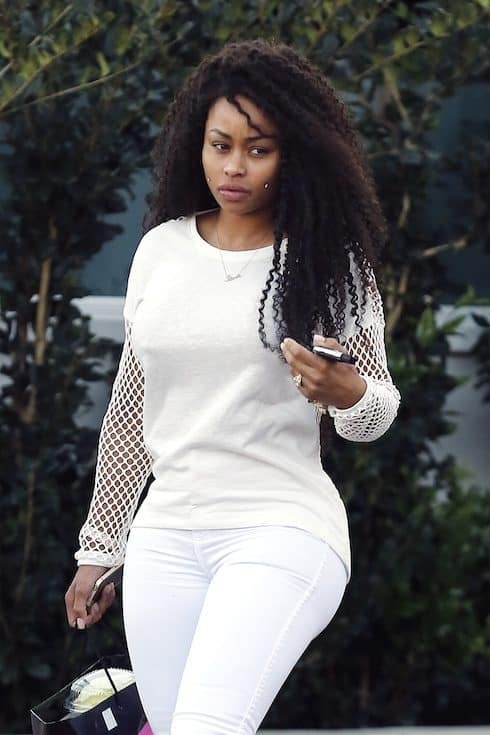 More recently, Blac has been in headlines thanks to her increasingly nasty custody fight with her ex Rob Kardashian. Rob, who has been paying Blac $20,000 per month in child support for over a year, now claims that Blac has cashed in on her newfound fame to such an extent that she makes at least six times what he does, and so it would actually make more sense for her to pay him. 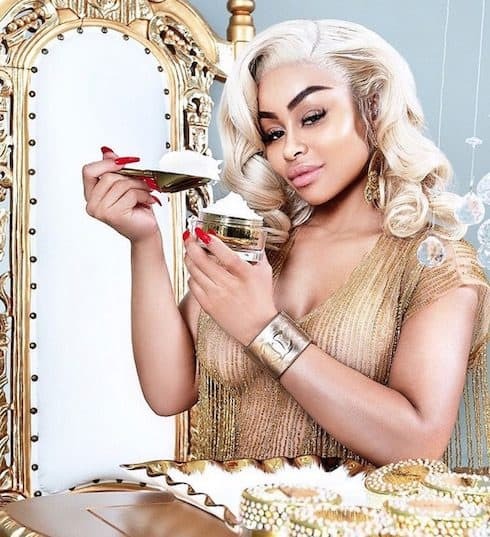 But all of those stories pale in comparison to the latest Blac Chyna controversy: her endorsement of and own cosmetic line with skin bleaching cream company Whitenicious. The company itself has been a lightning rod for controversy since its creation five years ago, but Blac’s high profile means it’s attracting more attention in America than ever before. What is Whitenicious? And does Blac Chyna bleach her skin? Whitenicious, which launched in January of 2014, was the result of a collaboration between a Swiss dermatologist and a Cameroonian pop star named Dencia. In an interview with Ebony shortly after Whitenicious went public, Dencia explained that she only ever intended the skin lightening cream not as a general bleach, but as something to be used on hyperpigmented skin — from which Dencia herself suffered. We came up with different names. You know, I was coming up with all these glamorous things and my best friend was like “Nah, ‘Whitenicious’ is good.” And when she gave me the name, I was looking up definitions of white. Ok let me define how I see white. (reads) “The color white affects the mind and the body by aiding in mental clarity, promoting feelings of fresh beginnings and renewal assisting in cleansing, clearing obstacles and clutter and encouraging purification.” And guess what? Dark spots is obstacles. Hyperpigmenation is obstacles. 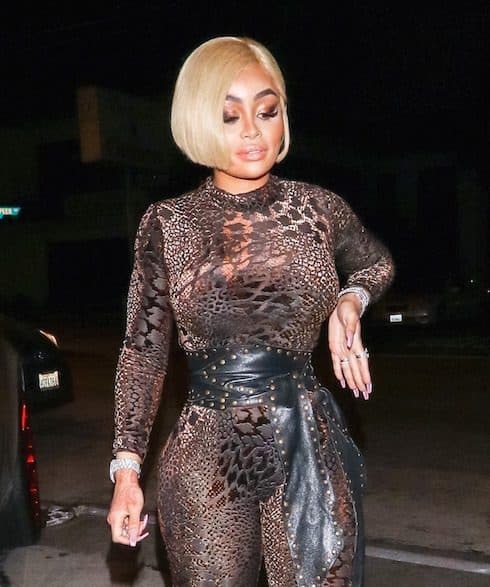 Blac Chyna is hardly the first recent African-American star to deal with skin bleaching. In the past year alone, Love & Hip Hop Miami headliner Amara La Negra has become a mouthpiece for embracing everything about one’s blackness, even as she’s dealt with viewer accusations of altering her skin color and hair. 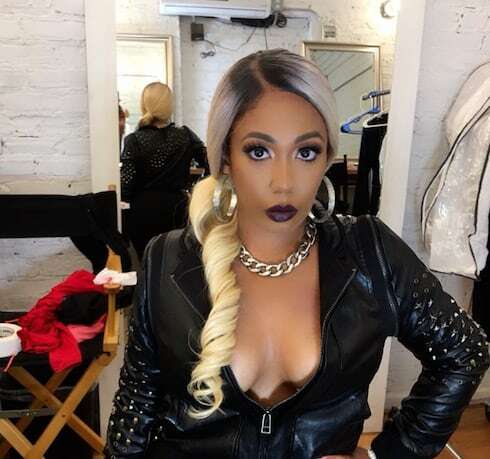 Spice from Love & Hip Hop Atlanta recently bleached her skin to promote her new single “Black Hypocrisy,” which Spice wrote in response to what she calls the black community’s double standard on skin tone. These products often contain mercury, since “mercury salts inhibit the formation of melanin, resulting in a lighter skin tone.” Unfortunately, mercury is also toxic. Fortunately, Whitenicious does not contain mercury. Unfortunately, Blac Chyna’s Diamond Illuminating Lightening Cream does cost $250 US dollars for a 100 gram tub. That’s 3.52 ounces, or about $28.40 per ounce. And, while the tub is “handcrafted with Real Swarovski crystals,” it’s also only $150 less than Lindsay Bluth’s tub of real diamond cream. So, no matter what Whitenicious’ customers are using the cream for, the look is only a little cheaper than getting to slather a million diamonds all over your body. 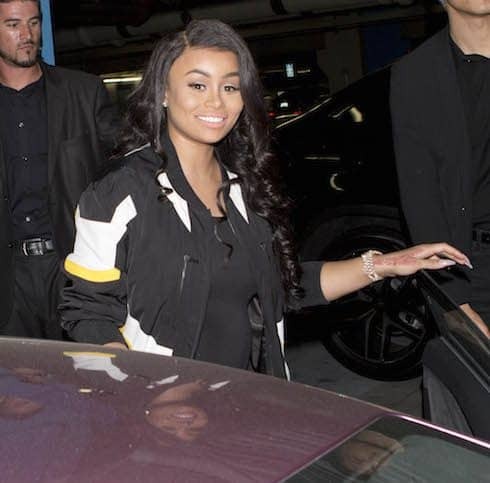 Though her reps have already copped to Blac Chyna’s presumably years-long use of Whitenicious, the question seems to be the extent of her use. Has Blac, like Whitenicious co-founder Dencia, applied the skin bleaching cream just to hyperpigmented skin? Or has she used it more generally, to lighten her skin by degrees? 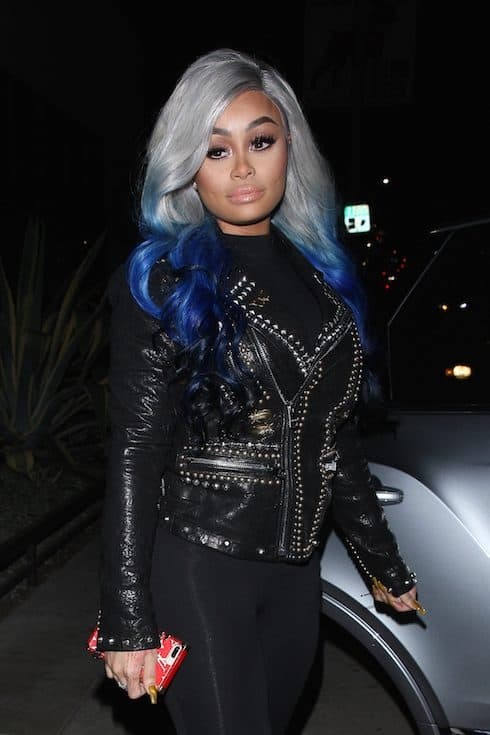 Below, you’ll find a Blac Chyna photo gallery comprised of images taken over the past five years. Because lighting is highly variable, we selected only images taken at night and by paparazzi, rather than on a red carpet (where staging areas tend to be overlit). 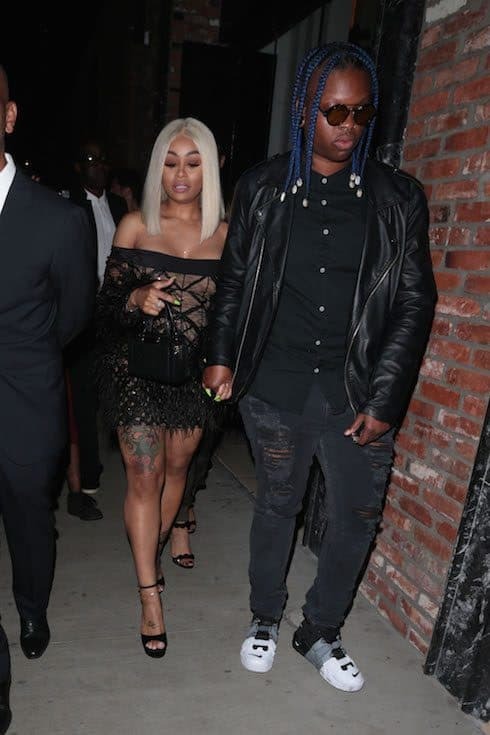 The lone exception is the final image in the gallery, since none of the Blac Chyna photos from 2014 in our image database met those criteria. We’ve arranged the photos in reverse chronological order. You’ll find the date each photo was taken beneath the images themselves.